The toilet is one of the things that we can’t live without. After some time, your toilet is going to need some fixing or repairs even if it’s made to last a long time. Being able to determine when these issues appear is very important and you need to call a professional to come fix it before it gets worse. Ryan Old Plumbing can handle any kind of plumbing trouble. We can fix all your plumbing problems quickly because we know how important your plumbing is, especially your toilet. A running toilet is a big issue because you could waste hundreds of litres of water leaving you to pay high-water bills. If you’re experiencing this kind of problem with your toilet, there’s most likely a problem with your inlet or outlet valves. Try twitching these valves to fix the seal. If the sounds stop and don't come back, it might have just been a little loose. If the toilet starts running again, or you can’t make it stop at all, you may need a professional to assess the problem. Ryan Old Plumbing can help you fix this issue in no time at all. We have several plumbers on the road who can easily attend to your concern as we keep stock materials for common toilet issues on our ute. Within an hour’s time (or less) from the time we arrive at your property, this issue should be resolved! That’s the quality of service we provide. If your toilet has one or more broken parts, such as the flush handle, inlet or outlet valve, the cost of replacing these items may be lower than the cost of replacing the whole toilet. However, if you continually replace parts, the cost of continuous repairs or fixing will add up. You may want to consider replacing the toilet with a newer model. Moreover, older toilets are not built to have half-flush and full-flush capabilities. Meaning, you may be wasting water inadvertently and unintentionally increasing your water bill every time you flush. When you call Ryan Old Plumbing, we will ascertain the issue over the phone and provide you with an educated proposal on how to fix the issue. We will then book a time for a site visit at the earliest convenient time and proceed with the repair. While we are on site, we can also give out free suggestions on how to resolve common toilet (or any other plumbing) issues and concerns. We value all our customers and we always go the extra mile to provide the best possible service to anyone. Toilet seals (pan collar rubbers) are sturdy but will decay over time. In the end, you may experience a leak, which means water will start appearing on the floor. It may leave damage to your bathroom and you’ll waste a lot of water. When you are unsure if the problem is a deteriorating seal then give us a buzz at Ryan Old Plumbing. We can determine what the problem and fix it at the same time. There must be an issue with your flushing mechanism, or a partial clog further down your pipes that is creating the problem. You should keep track of how often your toilet clogs, and if there are any changes in the strength of its flush. It can be a case of simple unblocking or it could be a larger issue than what you have originally anticipated. No worries! Ryan Old Plumbing has the expertise and the equipment to resolve the problem either way. Your toilet needs to be replaced right away if cracks in the porcelain are present. Bacteria and dirt will find its way into the cracks. Cracks make it difficult and impossible to thoroughly clean your toilet, which means your toilet will continue developing bacteria and continually look dirty. The crack will also get bigger if left unattended, increasing your risk of paying costly repairs and more leaks. Moreover, it then becomes a health concern and much as a plumbing issue. It’s the best option to call Ryan Old Plumbing if you noticed cracks on your toilet to come check it out. From our years of experience, we can offer you different choices of toilet styles and models depending on your preference. There wouldn’t be anything worse than going to flush the toilet and hear nothing. It wouldn’t just flush. This is a huge sign that you have trouble with your toilet. The most important move you should make is to call Ryan Old Plumbing to diagnose the issue and fix it. This is a toilet concern that we take seriously and we prefer to discuss it with you as it may indicate a few different outcomes. You may have thinks you have an idea of what is going on but a professional and trained plumber should help you figure that out for sure. 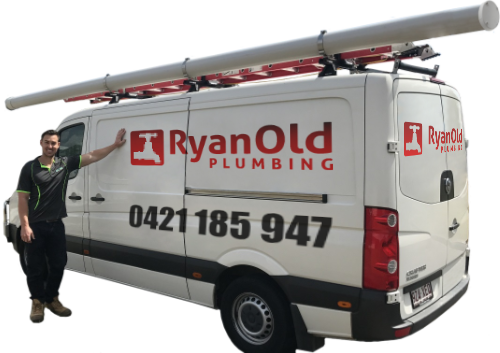 Contact Ryan Old Plumbing at 0421 185 947 to have one of our plumbers fix all your toilet troubles. We’re always here to help you with any of your plumbing concerns.